Perfect family home in Red Boat at Port Royal in Queensborough's master planned community. Finally, the search ends! Desirable Balsam plan: 7yr young/3bed/3bath/2lvl/1819sqft w/huge detached garage & upgrades throughout. 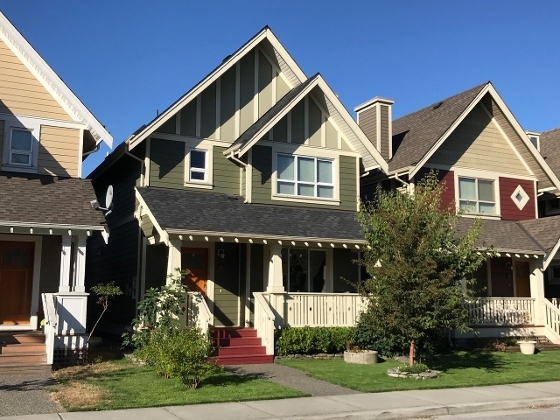 Main: fir floors, living & dining rooms, spacious kitchen w/family rm & eating nook, custom maple window seating & storage, custom built-in workstation, 2 cozy F/P's & level yard access. Upstairs: large master w/vaulted ceilings, huge walk-in closet, spa-inspired en-suite, 2 well sized rms & conveniently located laundry room. Enjoy an abundance of light through 4 skylights. Bonus: in-ground sprinkler, raised bed-garden, lit patio area, cedar privacy-fence & warranty till 2021. Act Now!